The 2013 Chevrolet Silverado available at Crotty Chevrolet Buick is now better equipped to help prevent drivers and their trailers from uncontrolled trailer swinging with the advanced StabiliTrak® electronic stability control system with integrated trailer sway control. Trailer sway control employs an angle sensor within the steering wheel assembly to measure the drivers intended yaw, or rotational movement around the axis of a vehicle, which determines the direction. During a sway incident, the sensor detects the driver’s intended yaw, while another sensor measures the actual yaw. The Electronic Brake Control Module compares both inputs and sends a signal to the Integrated Trailer Brake Control for action. The resulting action is to apply the trailer brakes and reduce the velocity. In more extreme conditions, the Integrated Trailer Brake Control will also signal the vehicle to apply its brakes until the oscillation stops. The Vincentric recognition shows that Silverado full-size pickups have the segment’s lowest combined ownership costs, which include items such as cost of depreciation, insurance, financing, repairs, fuel, fees and maintenance. Vincentric provides data, knowledge, and insight to the automotive industry by identifying and applying the many aspects of automotive ownership costs. Vincentric data is used by organizations such as Yahoo! Autos, AOL, Cars.com, Chevrolet, Toyota, BMW, Mercedes-Benz, Kiplinger.com, Business Fleet Magazine, Volvo, NADA Guides, and Fleet-Central.com as a means of providing automotive insight to their clientele. Vincentric, LLC is a privately held automotive data compilation and analysis firm headquartered in Bingham Farms, Michigan. Full-size pickups are unique, both in the jobs their owners ask of them and in how long Corry, Erie, Warren and Jamestown drivers expect them to last. As it enters its third year, Silverado HD remains the benchmark for heavy-duty pickups, winning magazine comparisons and strengthening Chevrolet’s reputation for building dependable, hard-working trucks. Best-in-class 3500HD fifth-wheel towing capacity of 23,100 pounds (10,478 kg). An array of control features, including trailer sway control, integrated trailer brake control, hill start assist, automatic grade braking, intelligent brake assist and larger brakes. New for 2013 is a pair of exterior colors – Deep Ruby Metallic and Blue Topaz Metallic – and a bi-fuel compressed natural gas fuel system and bi-fuel-compatible version of the 6.0L V-8 engine. It features hardened valves and valves seats that enable to run on gasoline or compressed natural gas. The bi-fuel package is available on 2500HD extended cab models. The 397-horsepower (296 kW) Duramax turbo-diesel is now available on 3500HD Chassis Cabs and box delete Silverados. Previously, these configurations were available with the 335-hp version of the Duramax. Also new is powertrain grade braking in the normal transmission mode for the 6.0L engine – it was previously incorporated only when the Tow/Haul mode was activated. It uses engine torque to help slow the vehicle on descents, which helps reduce brake wear. Chevy’s HD trucks are comfortable and connected, with technology features including available mobile WiFi, USB connectivity, Bluetooth phone connectivity, SiriusXM Satellite Radio, OnStar 9.0 and navigation. There’s also a navigation radio with CD, USB port and an 80-GB hard drive (30 GB available for music), along with heated and cooled front seats available on LTZ models. Chevy Pickups 101: What’s the Differential? Technologies like advanced turbodiesel V-8 engines or hydroformed steel frames have advanced the Chevrolet Silverado to unprecedented levels of capability for fullsize pickups. In just the decade since the 2003 model debuted, maximum towing capacity for a Silverado HD has risen 43 percent, from 16,100 pounds to an industry-leading 23,100 pounds. Getting that towing force from the engine to each rear wheel is the task of a set of gears located in the center of the truck’s rear axle known as the differential. The ratio of the sizes of those gears is represented by the diameter of the gear that drives the wheels in relation to the gear from the driveshaft. So, a 3.08:1 ratio indicates the drive gear has 3.08 times as many teeth as the gear on the driveshaft. Using different diameter gears within the differential affects both towing ability and fuel efficiency. Since pickup owners have varying needs and preferences, Chevrolet addresses different requirements by offering various rear axle gear ratios. 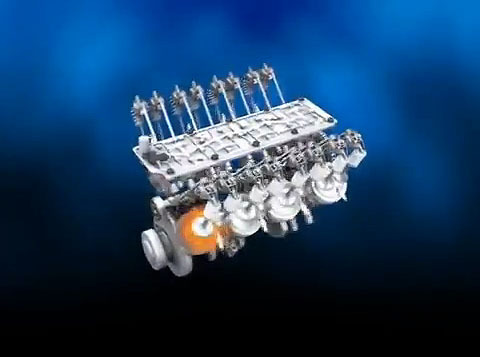 “A numerically lower axle ratio keeps engine speeds lower for better fuel economy, while higher ratios generally yield higher towing capacities and quicker launches from a stop,” said Robert Crotty of Crotty Chevrolet Buick in Corry, PA.
Each of General Motors’ four U.S. brands earned a segment award in the 2012 J.D. Power and Associates Initial Quality StudySM, helping GM to its best-ever company score compared to the industry average in the 26-year history of the widely watched third-party quality measure. GM has nine vehicles either receiving a segment award or placing in the top three of their respective segments. As a company, GM outscored the industry average. For the first time, GM occupies the top three spots in the highly competitive Large Pickup Segment with the GMC Sierra LD, and Chevrolet Silverado HD and Avalanche, finishing one-two-three respectively. “Clearly this is very significant for General Motors and our dealership” said John Crotty owner of Crotty Chevrolet Buick. “It attests to all the hard work and improvements that GM has made recently. To have the Chevrolet Malibu ranked as the top ranked mid-size car, the Chevrolet Silverado and Avalanche in the top three in the large pickup segment, and the Buick Enclave as the highest ranked midsize crossover/SUV segment is quite an accomplishment. Stop in at the dealership to register. Here are just a few examples of the fantastic Incentives now available only until May 31st. 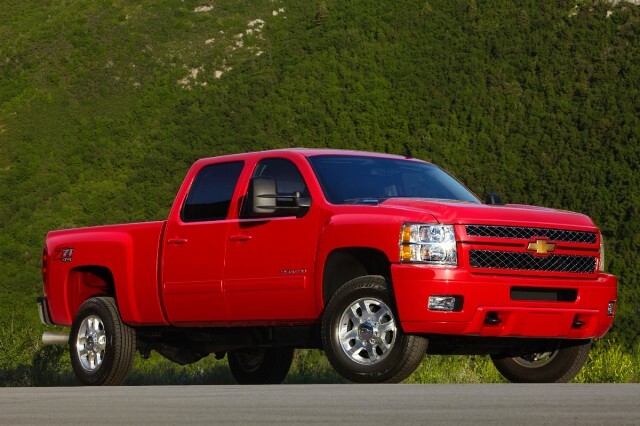 Get up to $ 7750.00 in Incentives on a 2012 Chevrolet Silverado Custom Sport Silverado. With a great selection of Chevrolet and Buick’s in stock shoppers are sure to find what they are looking for at Crotty Chevrolet Buick during the Memorial Day Sales Event.